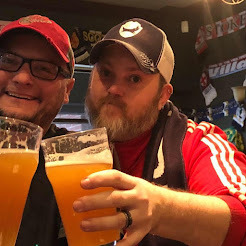 Very full and quality beer here. Tastes much more like a stout than a brown ale. The high gravity is noticeable and make some of the flavors stand out. Heavy chocolate and toffee flavors (which lead to the Stout flavor...). Some fruit aromas, but none in the actual flavor. Goes down smooth, basically no bitterness at all. The standard quality I expect from Stone - finally with a low bitterness I can enjoy! 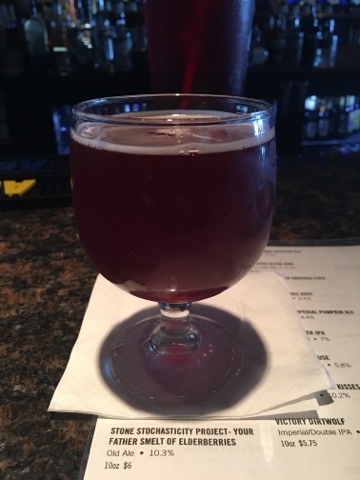 Nice and fruity mild sour ale. Not too sour on the front or back - with lots of fruity flavors. Smooth and no bitters. Enjoyable. Pretty standard and decent beer - nothing too special. 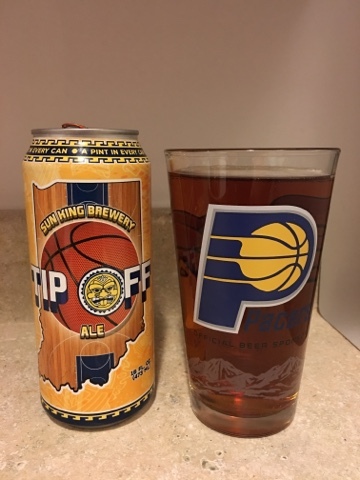 I like the rye flavors, but it still is pretty heavy on the bitter hops. It's not bad, and the rye upfront makes it a little smoother and easier to handle. Nothing special, and nothing I would go out of my way to drink, but it's ok. Just ok. This is a beer that I have been excited about for a long time. 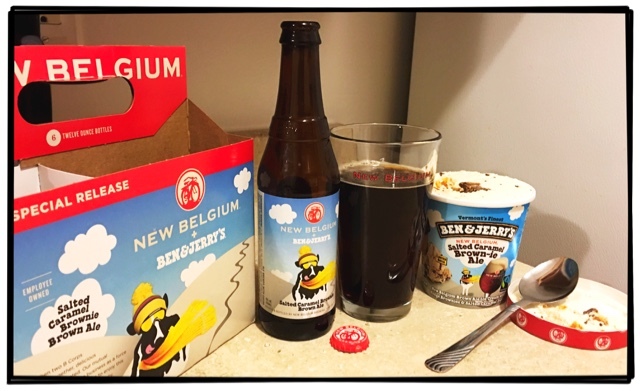 It's taken a while for me to track down both the beer and the ice cream - I refused to do one without the other. Tonight, it finally happened. 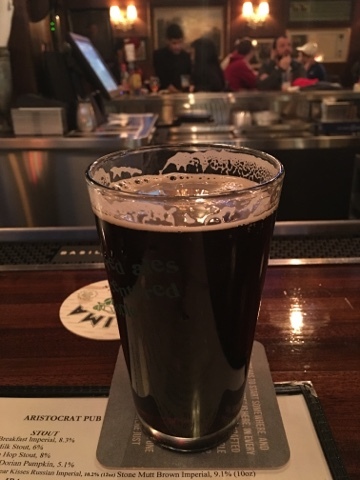 Brown Ales are my favorite, so tend to be the most picky about them. This one is really good, but not one of my favorites. 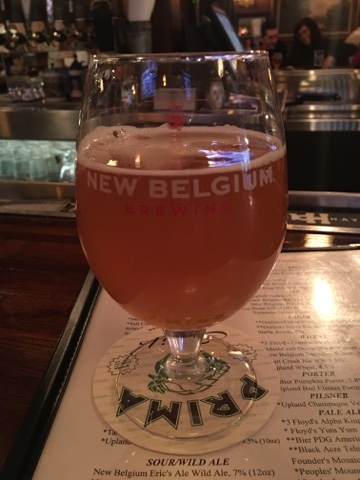 It is the high quality that I expect from New Belgium, it has an amazing aroma that gets me ready to drink it - then things get confusing (but not in a bad way). The full body starts really dry with some bitterness - I'm assuming this is to represent the salted flavor, it's quickly replaced with a nice and flavorful brown ale that I really enjoy, and then I get a nice long and lingering caramel flavor in my mouth. It's a nice and sweet finish to the dry start - until that bitterness bookends itself and shows up again to crush the caramel and leave me craving another drink to get that dry feeling out of my mouth. Overall, it's really enjoyable and I won't have a problem knocking out this six pack with the ice cream to go with it. Speaking of the ice cream - it is exactly what you would expect from Ben and Jerry's. A nice and delicious base with some large chunks of brownie and lots of swirls of caramel. I think they did something to the brownie pieces to give it a salty flavor. My only question now: do I put some scoops of ice cream into a pint glass and make a Beer Float??? 728. 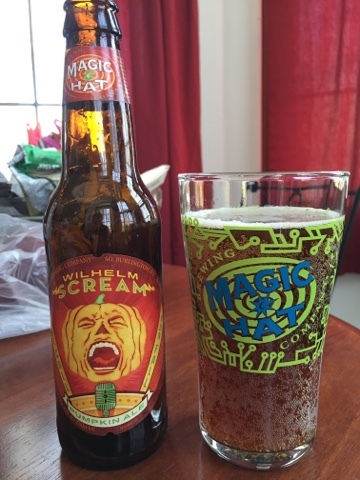 Magic Hat Wilhelm "Scream"
Very full bodied and flavorful - but light on the pumpkin. I get some sweetness and some spice but not the bitterness. Goes down smooth and is pretty enjoyable for someone who doesn't like pumpkin. Drank at my buddy Samir's house, so this was provided by him. 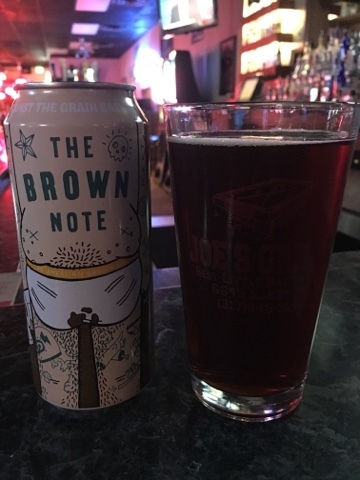 Really good and enjoyable brown ale. Nice flavors, very full body with no dry bitterness at all. I could drink a lot of these and enjoy them. Miller showed me this beer online a long time ago, and it turns out he made it his mission to get them at Joe's. 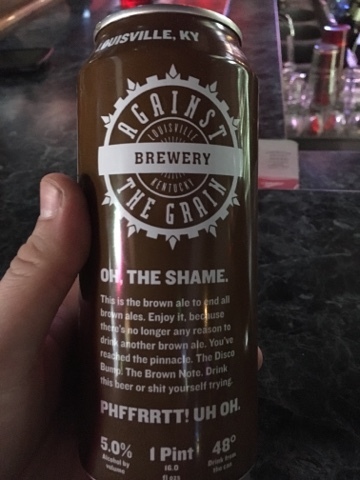 It's a good beer, but I wish it was better. 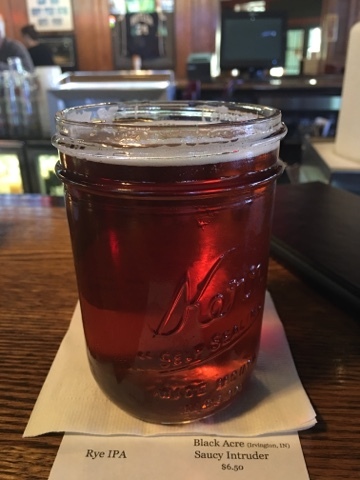 It's smooth with some really malty flavors, but it's not great by any means. I could drink a lot of them, but there are many other beers that I would rather be drinking. Very different beer, not my typical thing. It's dry and bitter up front but then mellows itself out into some fairly tasty - but somewhat muted - flavors.